No wine tasting or even a subscription to Wine Spectator can teach wine enthusiasts more than a few hours visit to the vineyard. The ultimate experience is to tour a vineyard and then spend time with the winemaker. Through four years of writing about wine it’s an opportunity I’ve been afforded on a number of occasions. Kokomo Vineyard’s Erik Miller was a gracious host earlier this year and put a few things in perspective with his own winemaking thoughts. 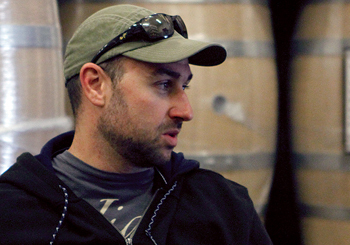 After touring a barrel-making plant in Windsor, Calif, Erik talked about his vineyards and the winemaking process. The conversation started where the morning began and that was with oak barrel aging. But wine is more than just the oak its aged in. Great wine comes from the vineyard. “It’s the terrior – the earth, soild, sun exposure, the bench (land),” Miller said. “That has to be first and foremost in the wine and then that oak is more than a storage vessel. The oak adds some tannin, some flavor and some mouth feel. For vineyard manager Randy Peters the success of Miller’s Kokomo Winery gives him input on what he does with the land and vines. 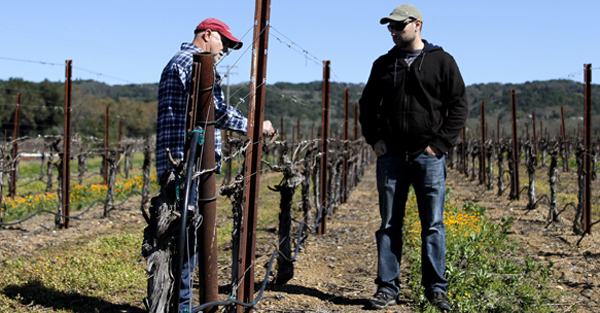 “Now that we have many more small wineries I can see the end product,” Peters said. “My father and grandfather sold to bigger wineries. 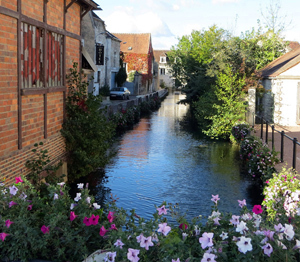 There were not a lot of small wineries in their time. All the grapes went into a blend with all the other growers. All the Zin went in a 10,000 gallon tank somewhere. Peters isn’t a grower who sells the grapes and disappears to next year. He is a partner with Miller and regularly tastes the wines of all the wineries who buy his fruit. “That’s an important part of the process, especially if they’re going to put a vineyard designate on it. Then it has to meet my quality standards as well,” Peters said. The Dry Creek Valley Kokomo Winery is modest but the wines go far beyond the limited releases seen in the midwest. Miller and Peters team for several wines which often don’t make it beyond the winery or California. 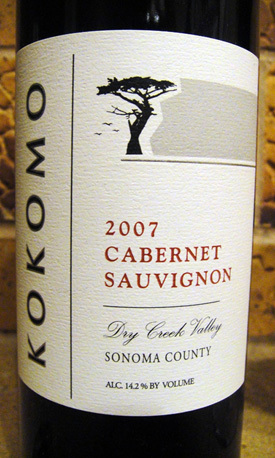 The Kokomo Cab is really pretty easy to find in wine shops and better liquor stores and a great wine for the price point. But for a real treat try some of the winery’s higher end wines. The Kokomo 2009 Timber Creek Zinfandel (vineyard designate) is tremendous wine. The wine had beautiful black pepper and nice acidity and a well balanced feel on the palate for wine of more than 15 percent alcohol. Wine Spectator gave this wine 90 points. Howard W. Hewitt, Crawfordsville, IN., writes every other week about wine for 20 midwestern newspapers in Indiana, Illinois, and Michigan.